... What director needs to know about actors and acting. Director must remember actor's secret : "it is a great help for a man to be in love with himself, for an artist it is absolutely essential"! Directors love actors who meet them half way; we are digging the channel from two opposite sides, friends. We have to develp macro-action (director) which coinsides with the micro-actions (actor). Actor has to welcome the limitations imposed by the text, directions, design, etc -- only than you have YOUR ACTOR's SPACE for development of your role. Do you know where this space starts and ends? Finally, Teacher noticed Master and there was a long pause. "... The seminal American director Elia Kazan once put forward a far more daunting list of prerequisites that included expertise in economics, warfare, religion, food, travel, sports, and a host of other subjects. His point was that to create the world of a play, to sew a whole cloth from the threads of language, a director has to know a good deal about many things. For the director and critic Haroldd Clurman, the job entailed being "an organizer, a teacher, a poilitician, a psychic detective, a lay analyst, a technician, a creative being...All of which means he must be a great lover." A director is a medium--between actors and text, between the text and the physical elements, and of course between the producer and the production. In the most basic terms, the director is a production's primary storyteller. A play has only one plot (including subplots), but it contains many potential stories. The interpretation of the primary characters largely determines the story, so in effect, every production of the same play will inevitably tell a different tale. One of the most important functions a director fulfills is determining, with the actors and designers, which story to tell and how to tell it coherently. As plots have become less linear, the job of telling a story has grown more complicated. While postmodernism and other aesthetics have increased our awareness of the disjunctions inherent in most stories, it has also incited some to reject identification betweeen characters and audience--and even storytelling itself--as passe. At the same time, many artists, in theater, film and novels, have demonstrated that coherent stoeries can accomodate contradictions and reflect a fragmented world. One instinct in particular is indispensable to storytelling: the ability to discover what delights an audience. Throughout his writings, Peter Brook, one of the extraordinary minds of the modern theater, recounts how each time his ensemble of actors visited a remote corner of the world, whether a village, a hospital, or an open field, they were obliged to relearn how to hold an audience's attention. No matter how ambitious or experimental his work, Brook has never drifted far from the simple questions of what makes an audience respond. If this ability seems basic to doing theater, it is all too often absent in practice. Some time ago I attended a performance by a local ensemble that advertised stylized, cutting-edge theater based on new acting theories but actually produced a cartoon that completely concealed the performers as human beings. The play was meant to be a comedy, yet when I scanned the room, only the stage managers, seated behind me, were laughing. The production was raucous but completely failed to entertain because the actors and director were far too absorbed in celebrating their process to gauge the audience's attention. Nearly everything a director does is in the service of animating the story. To that end, most successful directors employ twin points of view simultaneously. One consists of living inside the play, discovering its energy by probing and empathizing with the characters' deepest desires and flaws. Using an actor's basic tools--action, obstacle, and given circumstances--the director animates the acting in a method, and with a vocabulary, that is organic to most actors. By analogy, if we were to examine an automobile closely, we'd want to look at it from both inside and outside. We would study its engine to learn how it runs, and then we would scrutinize its design to determine its structure. This dual perspective would disclose far more than merely describing its color or accessories, which, in analyzing a play, would correspond to the superficiality of hunting for themes rather than probing more deeply for the inner workings of a play--its motor. Most of the webpages are instructional (classes), but many do have texts on Directing Theory and Theatre Theory. I'm making the specialized glossary for each directory, but this job will take forever to be done (year or two). I gave a title for Directing Pages "StageMatrix" (or "StageMetrics"), following the intentions of Meyerhold. Since Director is in the middle of everything, you better read SCRIPT directory and ACTING directory (actually, both -- System of the Method and Biomechanics). If you are interested in Virtual Theatre applications to live shows, I teach vTheatre Special Topics class in the Spring 2001 and you can subscribe to vTheatre Forum. There are still many "directing" files I have on my hard drive and most likely I can webpublish them only, when I am about to teach next directing class. Follow THR331 Fundamentals of Direction, if you are a novice director. MASTER (to me). You read for the rest. 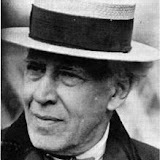 Stanislavsky exited and entered as VERSHININ. Stanislavsky/VERSHININ (to MASHA and IRINA). I have the honour to introduce myself, my name is Vershinin. I am very, very glad to be in your house at last. How you have grown up! My, my! Anatoly/IRINA. Please sit down. We are delighted to see you. VERSHININ. How glad I am, how glad I am! But there are three of you, the sisters. I remember - three little girls. I don't remember your faces, but that your father had three little girls I remember perfectly, yes, and saw them with my own eyes. How time passes! Hey-ho, how it passes. BARON. Vershinin has come from Moscow. IRINA. From Moscow? You have come from Moscow? They stopped the scene; Meyerhold looked around -- "What is your name?" MASTER. Read for Irina. Anatoly, you are the doctor. When Vershinin starts his BS "How glad I am" and so on, you humm something. You understood who he is, you are smart. You see everything ahead, how Masha will fall in love with him and how he will destroy the Prozorov's home. (He turn around) And you? MASTER. You are Solyony. You still have the cards in your hands. Do you have them? The prop? When I say "Oh! Colonel Versihin!" -- you make some sond, so I can take a look at you. And again on the line ""Virshinin has come from Moscow" -- understand? Shall we try again? ....Stanislavsky nodded and exited the green room and entered again -- that was the second take. 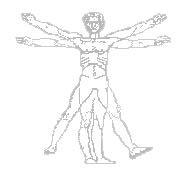 The famous Meyerhold's "demonstrations." TEACHER. Do you want the bigger entrance? MASTER. Don't pay any attention to Baron, to me. Even when you talk to Irina, look at Masha, please. TEACHER. I see, I like it. Thank you. MASTER. STAGEMATRIX! (and he gave me the script) Directing! Directing, my friends! (and gave Teacher a smile). ... Maybe on directing pages @ direct.vtheatre.net. My Shows: Click to View Links. And each of them exited through different doors.... And when the both were gone, Chekhov entered the green room.... The rest I do not remember. I woke up in the hospital. Nearly all film directors are film school graduates. Film school students must complete their own short films by graduation; you should be prepared to work under difficult conditions, share space, and convince actors to work for little or no money. Aspiring film directors prove themselves by directing stage productions, doing film lighting design, or establishing a history of assistant or associate directorships. This last is the most common route, as professional experience and networking contacts can be combined in a brief but rigorous period of time. There is no specific ladder to climb. Many aspiring directors develop clips of work to recommend them to industrial or television or commercial directing jobs, which pay well and serve as working credentials. Those entering this career should be warned that twenty-hour days are not unusual. The beginning of modern directing is commonly associated with the Meiningen Players, a German acting troupe organized in 1874 by George II, duke of Saxe-Meiningen. 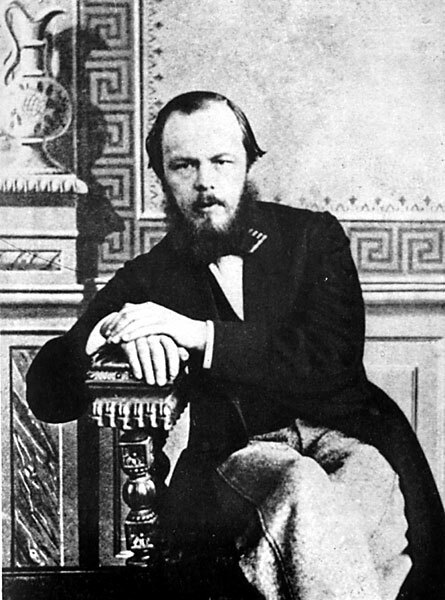 Under the direction of Ludwig Chronegk, the group worked as a unit, setting an influential example of effective ensemble playing. Leading realistic directors of the late 19th cent. 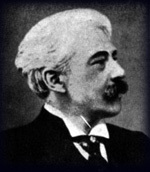 included André Antoine in France, Otto Brahm in Germany, and Constantin Stanislavsky in Russia. The most innovative of these was probably Stanislavsky, who stressed ensemble acting and the importance of actors� absolute identification with their roles. Almost as soon as realism gained ascendancy, various antirealistic theatrical movements developed, beginning with Paul Fort�s Théâtre d�Art (1890). The theories of Adolphe Appia in Germany and Edward Gordon Craig in England encouraged European directors to experiment with symbolic settings. Even conservative directors such as Harley Granville-Barker and Jacques Copeau soon realized that a realistic setting was not essential to the true rendering of a play�s meaning. In addition to producing increased artistic possibilities for directors, the rise of antirealism made the director�s practical task of coordinating scene design, lighting, and acting even more essential. A director who experimented successfully with both realism and antirealism was the German Max Reinhardt. Noted for his extravagant productions, he tried to remove the barrier between actors and audience by projecting the stage into the audience and scattering actors among the spectators. During the 1920s there were several important antirealist directors working in Germany and the Soviet Union, notably Vsevolod Meyerhold, Alexander Tairov, and Erwin Piscator. A disciple of Reinhardt, Piscator worked with the playwright Bertolt Brecht, whose theories have greatly influenced 20th-century theater. In order to emphasize the social and intellectual content of Brecht�s plays, Piscator utilized stylized settings and mechanical devices such as motion pictures. 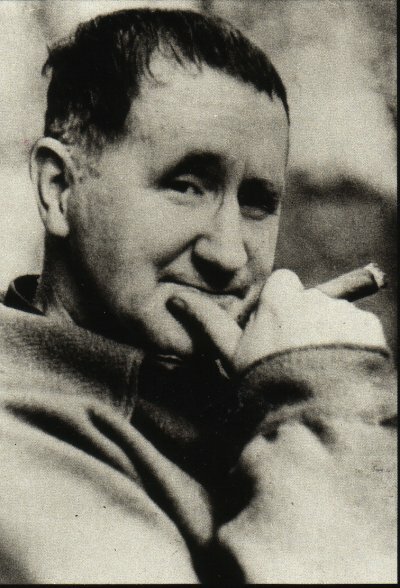 Brecht wished to insure the intellectual receptiveness of his audience by making it continually aware that it was watching a play, not reality. To this end he and Piscator took the opposite of the Stanislavsky technique and schooled their actors to alienate themselves from their roles. During the 19th and early 20th cent., the American theater was dominated by directors specializing in elaborate surface realism, with David Belasco as their prototype. A break from that tendency was made by the Group Theatre (1931�41), with Cheryl Crawford, Lee Strasberg, and Harold Clurman directing plays of social significance and promulgating Stanislavsky�s theories of acting. 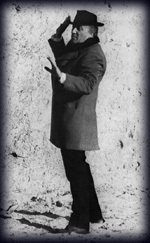 Strasberg�s Actors� Studio has produced several generations of theater and film actors devoted to the Stanislavsky technique. Enormous emotional expressiveness was also elicited by José Quintero in his direction of actors at New York�s Circle in the Square and in Poland by Jerzy Grotowski in his sparely experimental productions at Wrocaw�s Polish Laboratory Theatre. During the 1950s and 60s the emergence of the theater of the absurd and the theater of cruelty granted directors more scope than ever. Many directors, among them Peter Brook, began incorporating music, acrobatics, dance, film, and mime into their productions, whether the plays being performed were by Beckett, Stoppard, or Shakespeare. Theatrical happenings and the orgiastic productions of Julian Beck�s Living Theater�replete with audience participation�may be viewed either as giving the director unlimited freedom or as eliminating his function altogether. The director was commonly of prime importance in the theatrical productions of the late 20th cent. In the Brooks tradition, a number of directors, including America�s Peter Sellars, Germany�s Peter Stein, France�s Ariane Mnouchine, and Poland�s Tadeusz Kantor, put their individual and innovative creative stamps on classical and contemporary works. A wide range of approaches and preoccupations characterized late 20th-century directors, including the social concerns of such figures as Brazil�s Augusto Boal and Russia�s Lev Dodin; the experimentalism of such writer-directors as America�s Robert Wilson and Maria Irene Fornes, Canada�s Robert Lepage, and Japan�s Shuji Terayama; and the varied techniques of such other prominent directors as Jonathan Miller (Great Britain), Yukio Ninagawa (Japan), Lluís Pasqual (Spain), and Julie Taymore (United States).